Founded in 1976, Toomey Auction Service is a company built upon the principles of honesty and integrity in its relationships with both buyers and sellers. Frederick and Paulette Toomey decided from the beginning that professionalism, service, and dependability would be the foundations from which their business would grow. By joining both the Pennsylvania and National Auctioneers Associations, the owners and staff of Toomey Auction Service have had the opportunity to attend many seminars relating to all aspects of the auction industry, thus keeping themselves abreast of all the latest developments in the legal aspects of the business, as well as the advancing role of technology in providing unparalleled service to their customers on both sides of the auction experience. This in turn has led to recognition from their peers on both a local and national level. Fred has served as President of the PAA (1998) along with many other offices, and Paulette is the current VP of the PAA Auxiliary and a Past Director of the NAA Auxiliary. Toomey Auction Service itself has won numerous awards for Excellence in Advertising. Fred Toomey has the distinction of being the first York Co. graduate of the Certified Auctioneers Institute, a rigorous and advanced educational program focusing on the finer points of the auction business. 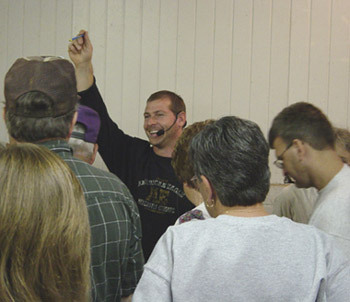 Additionally he holds a Federal Firearms License, conducts seminars on the historical aspects of firearms for auctioneers associations in several states, and is an unofficial liason between the PAA and the PA State Police to ensure that members are kept up-to-date on the latest laws concerning the sale of firearm at auction. Wade and Mark Toomey have been a part of this family business from its earliest days, serving first as runners. Since then Mark has gone on to graduate from Mendenhall Auction School in 1990 and is now a regular on the auction block. He also represents the company at many charity auctions. Wade, while involved in a separate business of his own, works on the photography for the catalogue and specialty auctions and helps on sale days. 1997 witnessed what became the most recent and profound expansion of business for the company, with the opening of Toomey Auction Center, an 18,000 sq. ft. facility in Hellam Twp., PA. This fully renovated building is now a gallery featuring a completely computerized auction system, restaurant-style kitchen services, large parking facilities, central heat and air conditioning, and a locked showcase room for exceptional items. We thank you for visiting our site and invite you to visit us in person either on location or at the Center, for what we are sure you will find to be an enjoyable and rewarding auction experience. 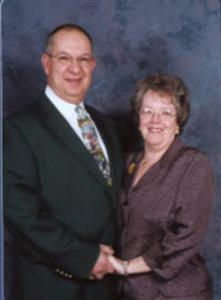 Fred and Paulette are the owners and operators of Toomey Auction Service and now are in their 33rd year of business. 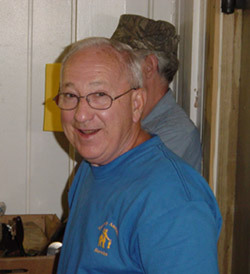 In January 2007, Fred was elected to the Pennsylvania Auctioneers Association Hall of Fame by his peers. Mark can be found helping to sell items in the main gallery with his dad. He handles most of the RE showings and will be happy to help you decide what is best to sell your real estate, collections or personal property. He is also a licensed realtor. Barb has been with the company since our beginning. It's her job to enter all sales transactions as the items are sold. Lee helps us out on sale day as an auctioneer performing most of his duties in our box lot rooms. Lee also has his own auction company in York. 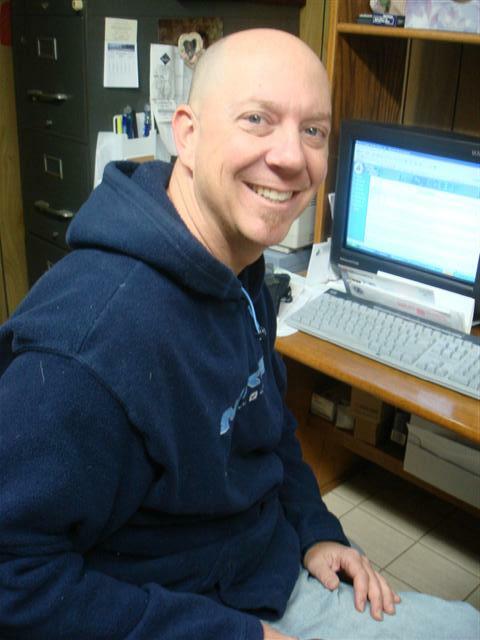 Dean works mostly in the box lot rooms assisting our auctioneers and also helps at our on-site auctions. Barb can be found clerking in the box lot rooms and anywhere else she is needed. She and her husband Don both give the runners a break. They are a big help to all of us. Deb can be found helping in the main room on sale day. She also helps pack houses when needed. 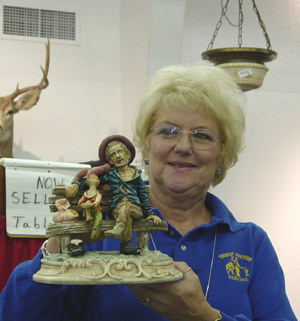 Barb is is a retired banker and she brings all her experience with her and can be found in the auction office and can get you a bidding number or take your payment. Wayne can be found in the box lot rooms keeping everything running smoothly. He is also a big help to us with sale preparation.